Louise likes to involve the customer as much, or as little, as they want to be involved. 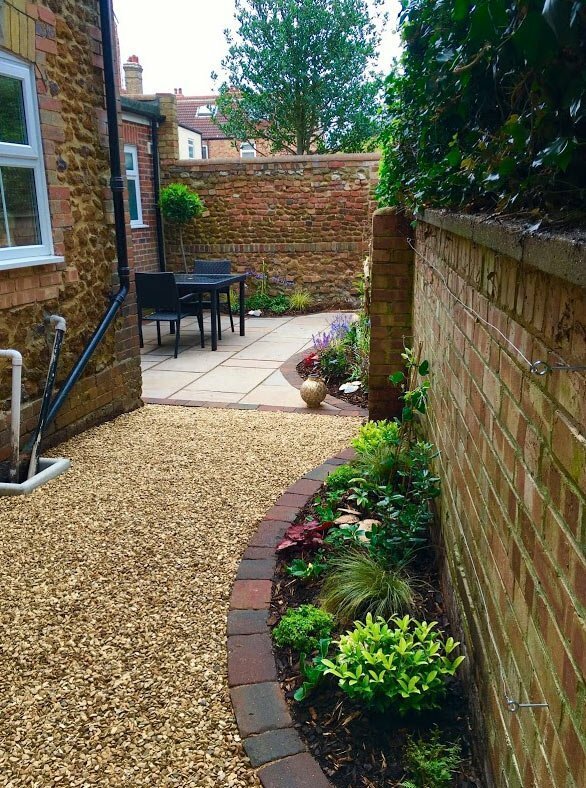 Some of Louise’s customers have a clear and precise idea of what they want in their garden. 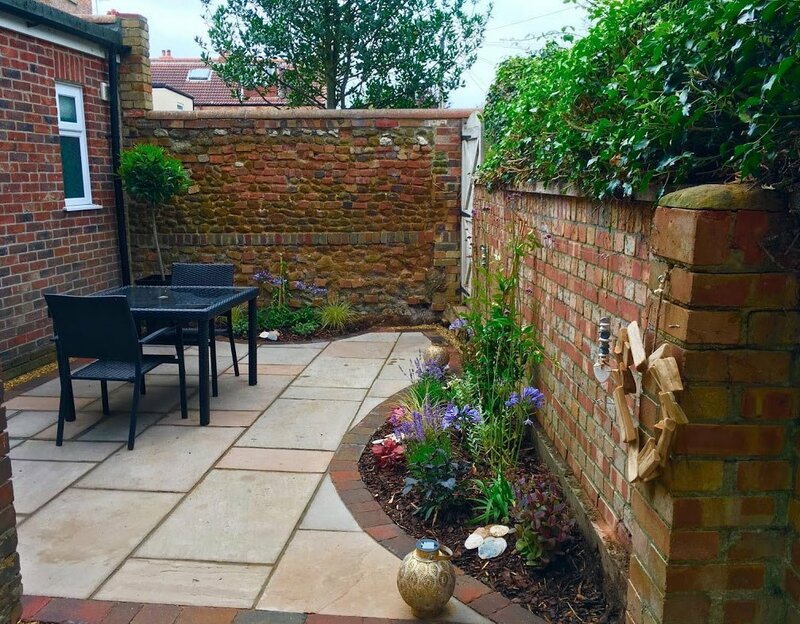 Others want Balanis Gardening services to take control and let Louise’s imagination and floral artistry take it’s own natural path with their garden design. Balanis are available for full on re-designs, new garden designs and garden makeovers. Soft Landscaping is more than an art, it takes years of experience to know what looks nice today, will still look great next season, and in many years to come. 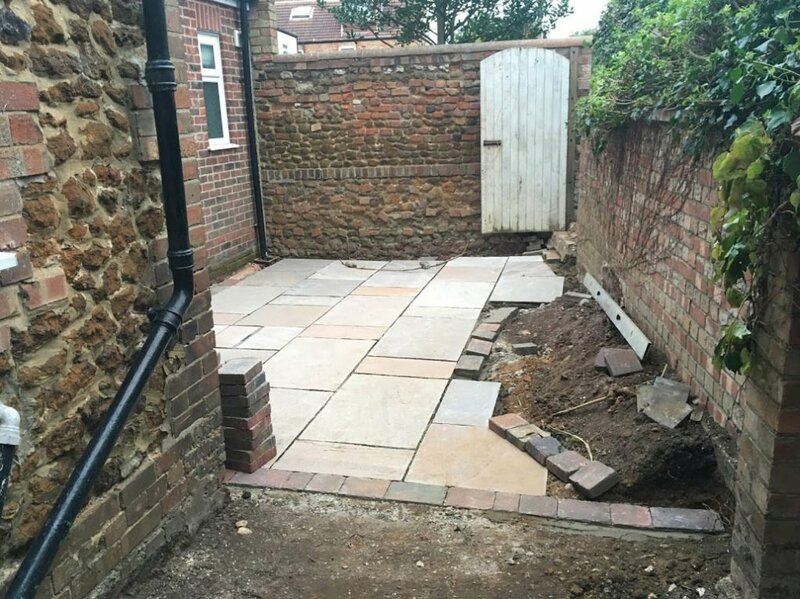 Please click the link for more details on our BESPOKE Garden Design service. 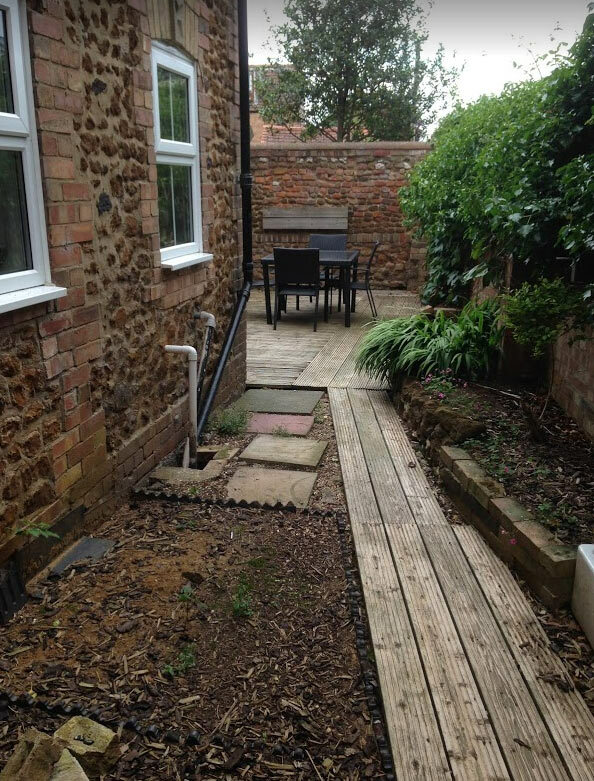 This small garden needs a little bit of everything starting with a garden clearance to see just what we were working with. After that Louise presented the customer with a new garden design. 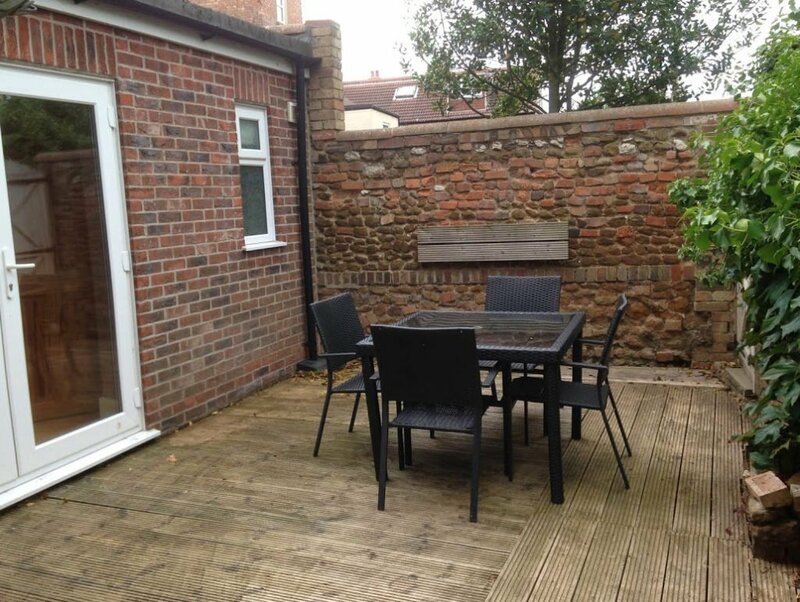 Including in the design was the removal of the old slippery decking to be replaced by Louise’s hard landscaping team with an attractive traditional stone look patio.